The arrival to the home is through a winding road of olive trees and landscaped flowers. 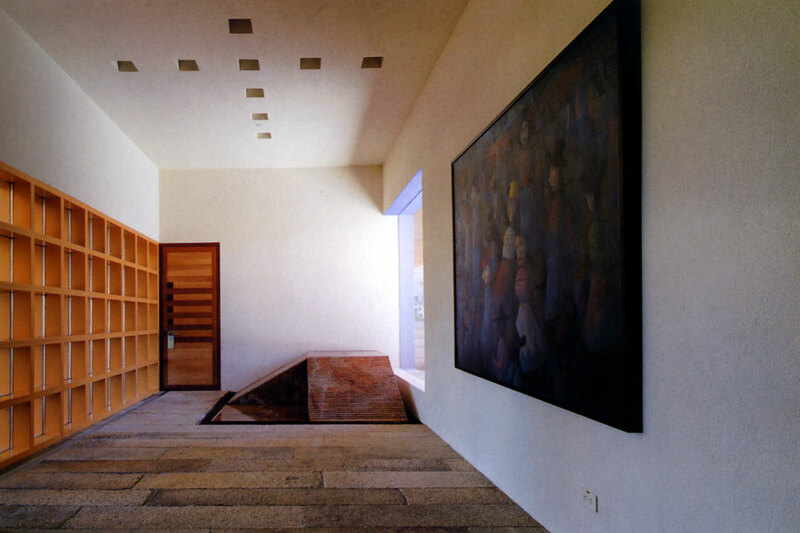 The setting of the house is intentionally hidden from the road in order to be discovered at the end of it. The 10,312 sq. ft. home has three bedrooms, a studio, gym, den, living room, dinning room, kitchen, wine cellar, 4-car garage and an outdoor pool. The entry to the home is through a 20 foot high barrel vault that is 56 feet long and leads to an open arcade which leads to an open courtyard. 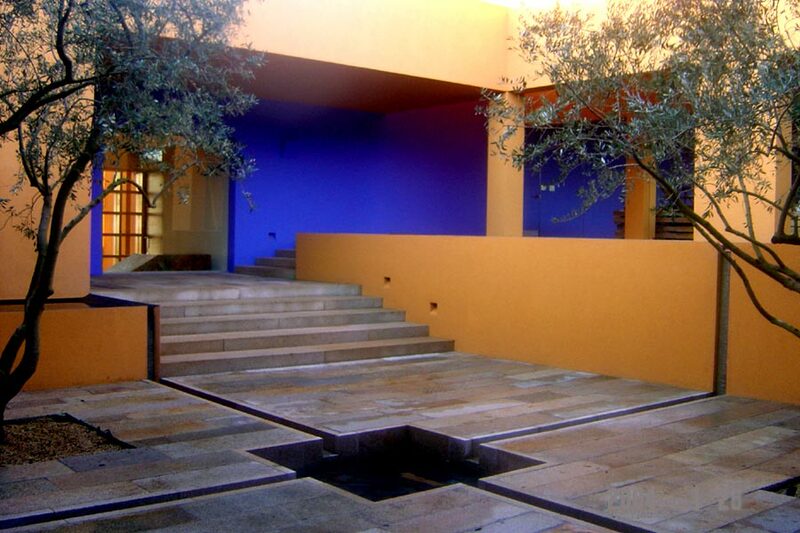 The courtyard is strewn with olive trees and water fountains painted in a Jacaranda color that with the deep blue sky create a surrealistic atmosphere. Once past the open arcade the visitor arrives to the main entry door; at this point the guest will go through a Galleria and arrive to the den and living room, and will discover the views of the Petaluma Valley. The living room opens to a swimming pool and a covered outdoor terrace. Adjacent to the living room is the dining room and the kitchen; both spaces can be isolated from the living room by closing a pair of sliding doors. The master bedroom suite has panoramic views of the Petaluma River and distant views of San Francisco Bay and the Golden Gate Bridge. The suite also includes a gym, large bath and closets and indoor swimming pool. The two other bedrooms are for guests and designed differently; each one is different in size, shape and atmosphere.